"She has eyes that go right through me." 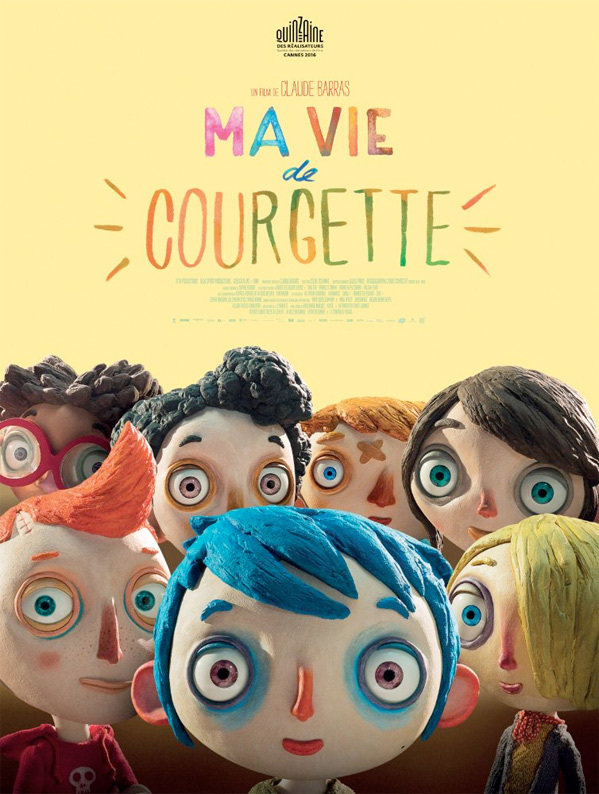 GKids has debuted an official US trailer for the fantastic Swiss stop-motion animated film My Life as a Zucchini, originally titled Ma vie de Courgette. This has played at film festivals all over the world and is showing at Sundance 2017 coming up soon. It also was nominated for Best Animated Film at the Golden Globes. The film is about a young boy with blue hair who becomes an orphan, and is sent to an orphanage where the other kids pick on him. But he quickly learns how to make new friends and teaches all of them how to enjoy life, no matter what. I watched this movie recently and totally loved it, it's wonderful and a must see for anyone who needs a bit of happiness in their life right now. After his mother's sudden death, Zucchini is befriended by a police officer, Raymond, who accompanies him to his new foster home, filled with other orphans his age. At first he struggles to find his place in this at times strange and hostile environment. But with Raymond's help and his newfound friends, Zucchini eventually learns to trust and love, as he searches for a new family of his own. My Life as a Zucchini, or Ma vie de Courgette in French, is directed by animation filmmaker Claude Barras, of the film Land of the Heads previously. The screenplay is written by Céline Sciamma, based on Gilles Paris' novel. The film first premiered at the Cannes Film Festival last year, and is playing at Sundance this year. For more info, visit the official website. GKids opens My Life as a Zucchini in select theaters starting February 24th this winter.